The Advantage of Walking in the Discernment of the Lord. What is biblical discernment? In its simplest definition, discernment is debilitated side between truth and error, right and wrong. The ability to think with discernment is synonymous with the ability think wisely. A key to living a victorious life is living in the Spirit. 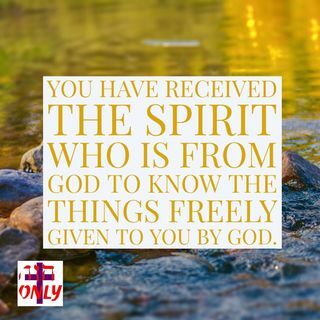 Your Body Being Wholly Filled and Flooded with the Spirit of God who gives you the ability to exercise discernment in every area of your life. Jesus Christ himself is been made unto you the wisdom of God and the power of God. (1 Corinthians 1:30). Therefore wisdom or spiritual discernment, something that comes from Christ living in you. It is different from the whirls wisdom and discernment. The people the world gain knowledge and apply reason to knowledge to solve problems, constructing buildings and crating philosophy. However God does not make the knowledge of Himself Available by Those Means. by the revelation of Jesus Christ to the believer, and then developed by way of training in righteousness (Hebrews 5:14) and prayer (Philippians 1:9). Hebrews 5:11-14 shows how spiritual discernment is developed. The writer speaks to those who had become “dull of hearing,” meaning they had fallen out of practice discerning spiritually. The writer of Hebrews tells them that everyone who lives on “milk” (rather than the “solid food” desired by the mature) is unskilled in the word of righteousness; however, the mature Christian has been “trained by constant practice to distinguish good from evil.” The keys, according to this passage, are becoming skilled in the Word of God (by which we define righteousness) and “constant practice” (through which we gain experience). Father, I trust in you with all my heart and lean not to my own understanding; in all my ways iconology, and I thank you for making my paths straight. Through your word living in me I get understanding; therefore I hate every false way. Your word is a lamp to my feet and a light to my path. Just as you said in Genesis 41:39-41 that just as the viewer with Joseph, so also you are with me. You calls me to find favor at my place of employment, at home or wherever I may be. I asked you to feel me with the fullness knowledge of your will in all spiritual wisdom and understanding in and discernment of spiritual things that they may walk, Leah and conduct myself in a manner worthy of you, Lord, fully pleasing and desiring to please you in all things, as I steadily grow and increase in and by your knowledge to a full deeper and clearer insight like Wayne it's and recognition of you working around and helping me in all the affairs of life. Lord Jesus because you've been made enemy wisdom and righteousness and sanctification and redemption, I listen to you and I add to my learning to discern your God and understanding and will.